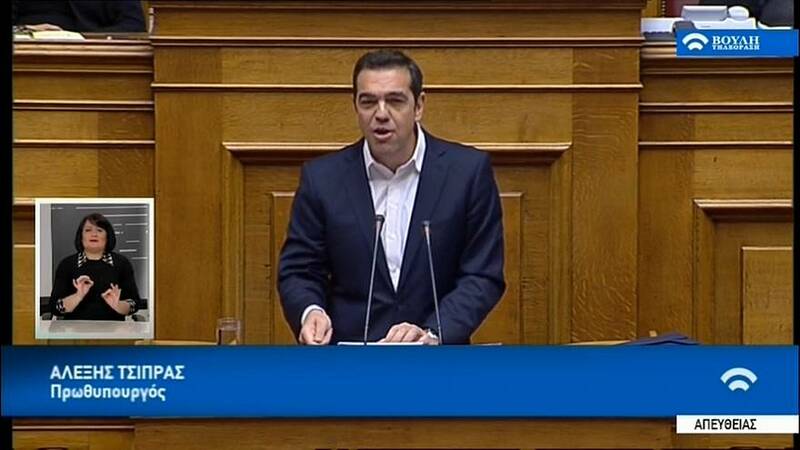 Greek Prime Minister Alexis Tsipras has firmly told parliament that approval of the 2018 budget would be the last under bailout conditions. By the time the package runs out in August next year Greece is expected to be able to fund itself from the markets. "The country after a long and painful journey leaves behind a period which is that no one want to remember. A period of harsh austerity, deep recession, disinvestment and especially in the the first years, a period of humiliation and dishonesty. " Kyriakos Mitsotakis of the New Democracy Party. "Your budget repeats the same failed recipe. It is one more budget of austerity, one more budget which will hamper growth , a budget which imposes taxes, a lot of taxes. A budget that is unfair and therefore a budget which is not popular." Greece has relied on financial handouts from European Union creditors and the International Monetary Fund (IMF) since 2010 but after this its third bailout, the economy is thought to be slowly returning to growth. Tsipras won power in 2015 on promises to end austerity but later signed up to a new 86 billion-euro bailout that ends in August. His term ends in 2019 and his Syriza party is trailing in opinion polls.